Tomer’s Take for the Best Skiing This Weekend: Ski the Wasatch on Friday. On Saturday ski Wolf Creek, Telluride, Silverton or Purgatory. Ski Banff, Sun Valley or Schweitzer/northern Idaho on Sunday. 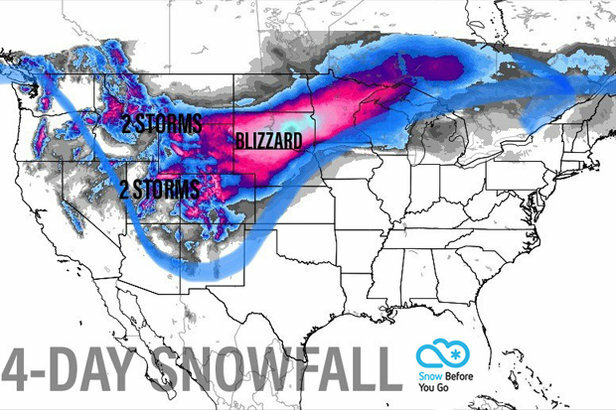 A big dip in the jet stream accompanies a blizzard in the northern plains early in the period. This sets the stage for the next four to five days. It leaves the equivalent of ruts in the atmosphere for a second storm system over the weekend into early next week. 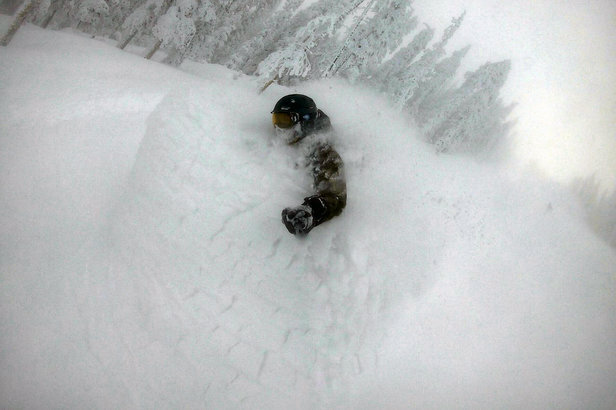 The West is the place to be to take advantage of this snow. The Northeast starts tranquil then sees a large storm system between Sunday and Monday. A weak El Niño continues in the equatorial South Pacific. The consensus of data continues a weak El Niño into early summer. Two storm systems keep the snow coming for the ski areas. As the blizzard departs, residual snow continues on/off into the weekend. Another storm system with moderate to heavy snow arrives Sunday evening through Tuesday with 1-2 foot totals by Tuesday. I like Alta, Snowbird and the Wasatch in general on Friday and again Monday. I like Wolf Creek, Telluride, Silverton and Purgatory on Sunday. Wraparound light snow continues behind the blizzard into Saturday. Another storm system arrives with moderate to heavy snow Saturday afternoon with 1-2 foot totals by Tuesday. Tranquil and mild until a large storm system arrives Sunday-Monday with mostly rain. Turning colder afterwards. The storm track is not favorable initially with mild air and light rain/snow chances. A larger storm system may brush Tahoe early next week. On/off light to moderate snow continues on Thursday-Friday. Then a larger storm system arrives with moderate to heavy snow Saturday night through Monday. Ski the Wasatch on Friday. On Saturday ski Wolf Creek, Telluride, Silverton or Purgatory. Ski Banff, Sun Valley or Schweitzer/northern Idaho on Sunday.